Palaeoecology uses the fossil record to reconstruct the life habits of past organ­ isms, their association in communities and their relationship to the environ­ ments in which they lived. Traditionally, studies have concentrated on case histories, using an array of fossil assemblages to reconstruct past ecosystems. However, in recent years the focus of palaeoecology has been broadening as it has become more fully appreciated that the biosphere is intimately linked to the history of the planet as a whole. Progressively, there have been more studies of the evolution of the ecological world. now comprising a sub-disci­ pline of evolutionary palaeoecology. Other studies have focussed on the inter­ play between the physical and biological world to show that, as in a Gaian system, influences may work both ways; climate may influence the prevailing ecosystems, but they in their turn may modify the climate systems. These are the big themes with which we introduce the book. 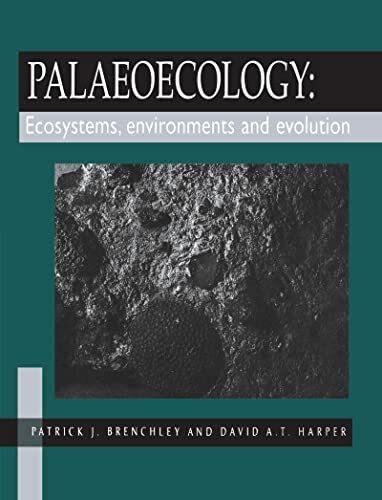 In the following sections we have covered the traditional fields of palaeoecology, but have also explored the ways in which palaeoecology can contribute to a broader understanding of the evolution of the Earth. We have described how basic ecological infor­ mation comes from applying knowledge of living organisms to the study of past ecosystems and to the reconstruction of the past ecological world, at population, community and biogeographic levels. We have also shown how preservation affects the record on which such reconstructions are based. The first palaeoecology book to focus on evolutionary palaeoecology, in both marine and terrestrial environments. Discusses reconstruction of the past ecological world at population, community and biogeographic levels. A well-illustrated and substantial volume giving accessible coverage of the full range of subjects within palaeoecology. Reviews and summarises all the major mass extinctions.